The author's name is associated with concepts of originality and legal codification. These conditions of reading change if the name of the author is unknown. The contributions of this volume, written from a perspective of literary, legal and religious studies, explore the intentions that were pursued in the past by publishing texts anonymously. 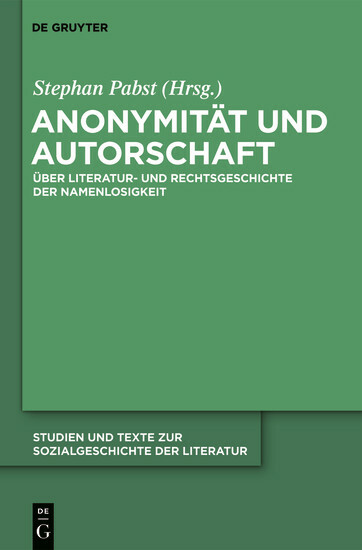 The relationship between anonymity and authorship is discussed in a fundamental way, and anonymity is reconstructed as a concrete historical situation of texts and as a condition for their meaning and function.